I received the product in the mail via the USP. No signs of damage and it is wrapped in a big bubble wrapped envelope. I like the idea of how everything fits in one small and slim organizer. Things are all in one bag. Very handy and doesn't take too much space whenever you carry it with you. So far all the sewing supplies are in it. I like the sewing kit and that I am comfortable to recommend to have one of these at home. I stacked it in my purse just in case there will be an incident that I need to sew something. That's nice to have! I have a sewing it but ery small. This is so convenient. I imagine bringing this anywhere since it's compact and light weight. It would easily fit in my bag. 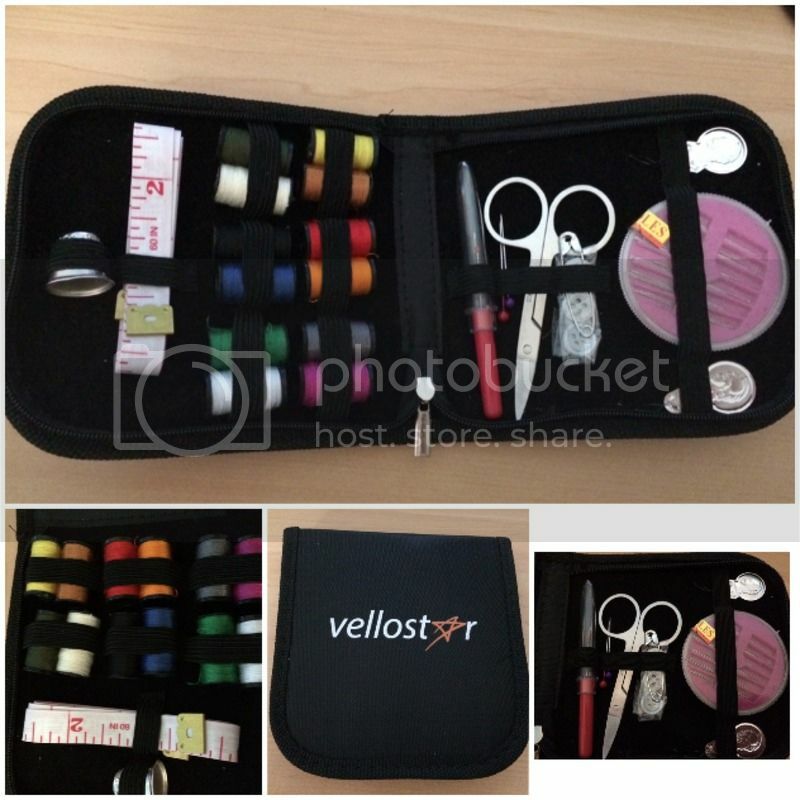 This Vellostar Sewing Kit is awesome. It has a lot colors that would surely match any shirt or blouse that would need quick repairs.